Stress occurs when the body and mind faces a difficult situation, such as school, legal problems, running errands, work responsibilities, or any other event. The body naturally produces cortisol to deal with the effects of stress; however, some events may carry more stress than the body can handle. Unfortunately, turning to drugs, alcohol, tobacco, and engaging in risky behaviors are problematic ways of dealing with stress, which result in additional stressors. 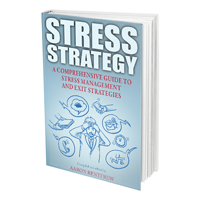 Additionally, stress contributes to the development and progression of physical and mental health disorders. However, having a set of beneficial coping skills will effectively manage and provide stress relief your body craves. This is the simplest coping skill, but many avoid journaling for fear of an inability to write. The basic points to remember when journaling are simple: write whatever comes to mind. Write about your job, your life, your family, or anything else on your mind. Journaling allows for the processing of thoughts in a logical manner and provides a safe way to express your thoughts. If you want to make sure no one reads your journal, write on a disposable piece of paper. Some opt to keep their journals as a way of looking back on the past. You get to be in complete control of your journaling. Walking, or any other form of exercise, is another beneficial coping skill. Exercise raises the heart rate, which improves blood flow. Ultimately, improved circulation results in fresh nutrients, oxygen, and removal of waste from your tissues, which will make you feel better. If you have any serious medical conditions, or if you take medications for your heart, check with your physician before starting an exercise regimen. From solving jigsaw puzzles to painting to car restoration, hobbies allow for an expression and release of stress. Some hobbies may even translate into careers. The goal of a hobby is to find a way to spend time in a healthy, rewarding environment. For example, painting is an outward, visual expression of your thoughts. Engaging in hobbies with others will also lead to the development of new relationships and interests. What you eat plays a huge role in proper stress management. A balanced diet increases bioavailability of nutrients to make repairs and ensure all cells continue living. A proper diet is necessary for both physical and mental health. A poor, unbalanced diet contributes to obesity, feelings of malaise, severe health problems, difficulty concentrating, and other bowel problems. Moreover, you can use cooking as a new hobby. However, you must remember to prepare healthy, balanced meals, as well as desserts and delicacies.